Window coverings turn every window into a view. MIRA Floors and Interiors offers custom window coverings and home décor accents that inspire. From the classic styles you love to innovative new products, we bring it all to you. We can also accommodate window coverings for a large variety of residential and commercial projects including arch windows, bay windows, and door windows. MIRA Floors and Interiors provides the highest quality custom window coverings and expert installation services at competitive prices to the Greater Vancouver and Fraser Valley area. Request a quote online or contact us to reserve a free, no obligation in-home estimate. You can also contact us to book a visit from our mobile showroom equipped with a complete range of window covering products and samples. Bamboo blinds are also commonly referred to as bamboo shades, woven wood blinds or matchstick blinds. Bamboo blinds can be woven for varying degrees of light filtration, allowing for open or privacy weaved bamboo window coverings. 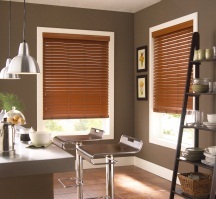 Bamboo blinds are a popular choice amongst homeowners seeking to add an inviting yet exotic accent to a room. 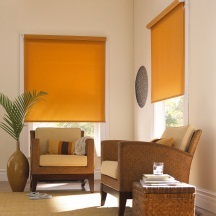 Like the perfect accessory that completes your look, blinds give any room polish and pizzazz. 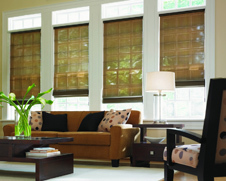 Adjust your blinds to let the sunshine in or keep your rooms cool during the long, hot days of summer. Incredibly versatile. Amazingly durable. 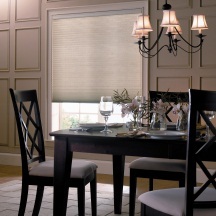 Whichever material you choose, blinds are the perfect finishing touch. 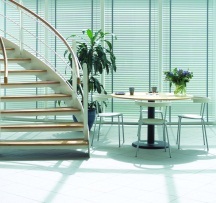 From horizontal blinds to vertical blinds, we’ve got you covered. Installing blackout blinds/blackout shades is the easiest way to block out unwanted sunlight or light from entering a room. Black out window coverings are typically installed in rooms where you require as much darkness as possible such as bedrooms, baby nurseries, computer rooms and TV rooms. Cellular shades/cellular blinds (also known as honeycomb shades/honeycomb blinds) are one of the most efficient window coverings available for homeowners. Cellular shades are designed to trap air, creating a layer of energy saving insulation from the heat and cold. 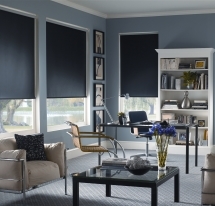 A unique benefit of cellular blinds is that no cords or cord holes are visible – perfect for those looking for uniform looking shades that provide a very warm and cozy feel. 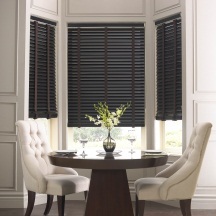 Faux wood blinds allow homeowners to add the beauty of real wood to their décor without sacrificing durability. These are great options for high moisture areas of the home, like kitchens and baths, because they resist warping. Faux wood blinds from MIRA Floors & Interiors are available in a variety of stains and paint finishes that complement the décor of both residential and commercial projects. 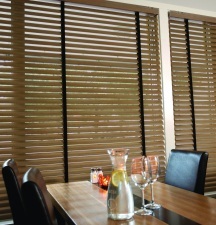 Real wood blinds coordinate well with a variety of colour schemes and can complement many décor styles. Surprisingly to some, real wood blinds are lighter than faux wood blinds. They are also easy to clean and care for so long as they are not used in rooms with high humidity or dampness. Aluminum blinds/metal blinds are lightweight and offer a sleek, elegant look. Both aluminum blinds and aluminum shutters are excellent choices for better light control and privacy. MIRA’s pleated shades collection includes a large selection of crisp, pleated fabrics in a variety of colours and fabrics. Pleated Shades flatter any shape from standard window dimensions to arches, angles and skylights. You have full control over how much light is let in, whether the goal is to diffuse light into a room or to block it out. 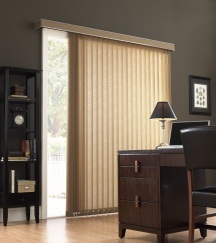 Roller shades allow a percentage of visibility outside your window depending on the density of the material chosen. Roller blinds are ideal for blocking UV, minimizing the fading of interior furnishings. Roman shades/roman blinds offered by MIRA come in a large variety of stunning fabrics from exotic waves to rich suedes. Perfectly match your decorating style and furnishings with the timeless elegance of roman shades. 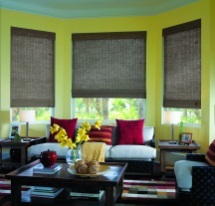 Shades protect your rooms from light, cold, or maybe even a less than perfect view. But what if your window coverings could express all the shades of your personality, too? Their clean lines and rich texture add drama to your view. Open them to let the sun in – close them for a cozy movie night a deux. Vertical blinds are one of the most stylish window coverings available and are an affordable solution for both residential and commercial applications. Visit our showroom (or have our mobile showroom visit you) to choose from wood, vinyl, or fabric panels in hundreds of colours, textures, and patterns. 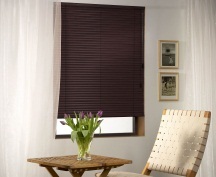 Venetian blinds are decorative yet functional, providing rooms with a timeless look. Being one of the most common types of window coverings, venetian blinds are typically the most affordable. They come in a large range of styles and sizes to suit any residential or commercial project.